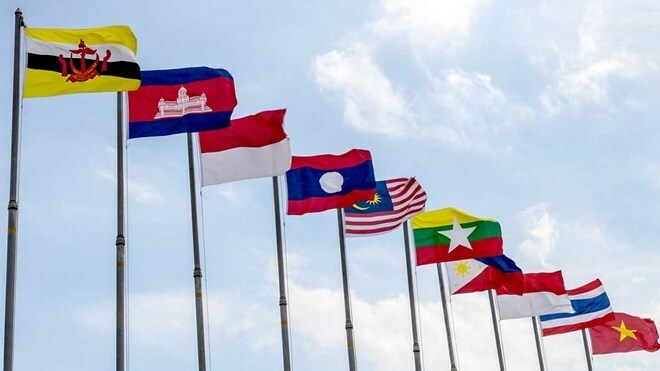 Manila, (VNA) – A grand ceremony took place at the Philippine International Convention Centre in Manila on August 8 to celebrate the 50th founding anniversary of the Association of Southeast Asian Nations (ASEAN). The event was attended by Philippine President Rodrigo Duterte, ASEAN Secretary General Le Luong Minh, and Foreign Ministers from 10 member states and the bloc’s partner and dialogue countries. The Vietnamese delegation was led by Deputy Prime Minister and Foreign Minister Pham Binh Minh. Participants also paid tribute to the founders of ASEAN and honoured ASEAN citizens who have made great contributions to its socio-economic development. Speaking at the ceremony, Philippine Secretary of Foreign Affairs Alan Peter Cayetano emphasised that after 50 years, ASEAN has risen to be a prestigious regional association and a trusted partner of many countries. It has led its member states to overcome a lot of challenges, in which solidarity and consensus are the key factors to help the bloc maintain peace and stability and develop a prosperous and people-centred community, he added.